The last thing America needs from Trump’s infrastructure plan is more roads. 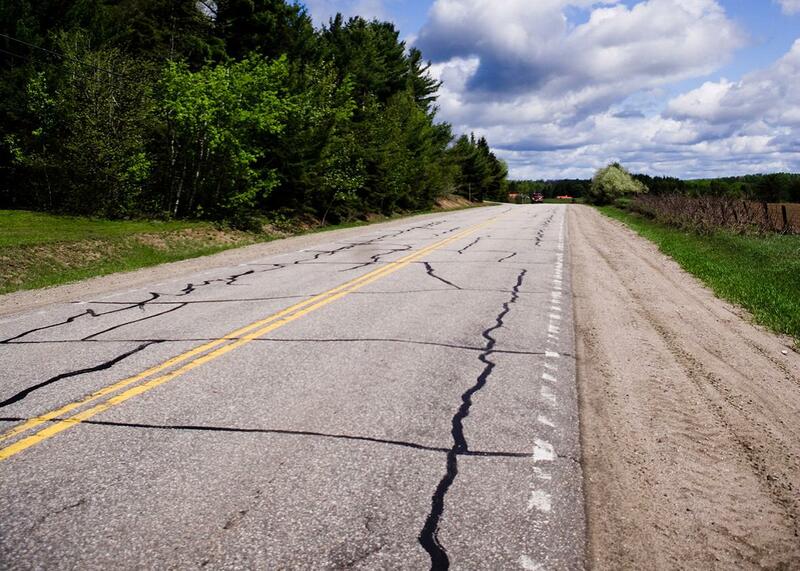 Republicans and Democrats can’t wait to pour money into our highways. That’s a dead end. Then on Thursday, an elevated section of Atlanta’s Interstate 85 collapsed into a fiery inferno, snarling traffic for miles. The black smoke unspooled into the blue sky, where it might as well have spelled out three words: roads and bridges. It’s what President Donald Trump wants: “We will build new roads and highways and bridges and airports and tunnels and railways all across our wonderful nation,” he said in his inaugural speech. And, New York Times columnist Paul Krugman suggests, what liberals want too. The Democrats’ own recently unveiled infrastructure plan calls for $210 billion for, you guessed it, roads and bridges. We should expect to hear a lot more of it. Now that the American Health Care Act has tanked, the Trump administration is eager to move on to other issues, including passing an infrastructure bill. Republicans and Democrats will have different ideas on what should be in it. (Tax incentives! Spending!) But they will almost certainly share a mantra: roads and bridges. There’s just one problem: America does not need more roads, suspended or otherwise. The rural population, after three decades of declining growth, started shrinking in 2010. In America’s metro areas, where more than 4 in 5 Americans live, the road network has been expanding faster than population growth since 1980. That has created an unprecedented maintenance crisis, in addition to facilitating sprawl, harming the environment, undermining Main Street commerce, and draining local budgets. Not only should we not be building more roads, we shouldn’t necessarily be repairing the ones we have. Since 1980, according to the Federal Highway Administration, public road mileage rose from 3.86 million miles to 4.19 million. Lane miles rose from 7.92 million to 8.8 million. Both those figures lag far behind population growth. But take a closer look, and a pattern emerges: Rural road miles have actually decreased in that time. All the new roads are urban. In and around cities, road mileage has grown at exactly twice the rate of population. In 1980, there was a mile of urban road for every 273 residents. Now, there’s a mile of road for every 215. That means fewer people responsible for the money that keeps that mile of road in good shape. That frenetic pace of expansion has created a maintenance crisis, among other problems. Old miles still outnumber new ones 99 to 1 every year, but states spend more money making incremental additions to the road network than taking care of the rest. All that road construction is a subsidy for sprawling greenfield development, which in addition to placing Americans farther from work, shopping, and one another (it has all but eliminated the tradition of children walking to school), exerts an enormous, unaccounted cost on the environment. It’s also very expensive. Traditionally, cities and counties have footed the bill for expanding roads and other utilities for new development, forecasting jobs, population growth, and an expanded tax base but discounting distant repair obligations. When developers build roads themselves, they do so on the cheap, thinking government will pick up the pieces. Now the tab has come due. Making America gravel again is more popular than you think. More than half the states have engaged in “unpaving,” which can be used to slow traffic or adapt a road to diminished use. But saving money is the paramount reason: In 2009, Montpelier, Vermont, saved $120,000—one-tenth of the city’s entire streets budget—by unpaving one of its streets. Faced with unprecedented maintenance costs for its own sprawling road network, Omaha, Nebraska, is also engaging in pavement-to-gravel conversions. Gravel is good. It’s cheaper than concrete and often has lower maintenance costs. It can be more easily repaired after damage from potholes or heavy vehicles. “There is nothing wrong with a good gravel road,” says the U.S. Environmental Protection Agency. What they deserve is a solution to real infrastructure problems—adapting the grid for renewable energy; fixing decaying pipes; modernizing airports, railways, and mass transit; and, OK, rebuilding Interstate 85. But it all begins with a refrain: No new roads.